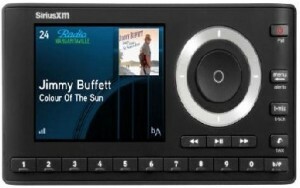 USA: SiriusXM has announced that the new SiriusXM Onyx Plus Dock and Play Radio is available for purchase. The easy-to-use Onyx Plus receives all of the channels of previous satellite radios including SiriusXM’s expanded channel lineup of commercial-free music, sports, and comedy, as well as SiriusXM Latino, a suite of Spanish-language channels. Onyx Plus also boasts a large color graphic display to view album art and channel logos, program and channel information, as well as song or show title. Store up to 20 channels for one-touch access, including 18 Smart Favorite channels. Automatically start songs from the beginning when you tune to a Smart Favorite music channel with TuneStart. Create your own music channel that is a blend of your Smart Favorite music channels with TuneMix. Scan and select songs that have already played on your Smart Favorite music channels with TuneScan. Pause, rewind, and replay live satellite radio plus go back and replay music, news, talk, or sports segments on all Smart Favorite channels. Browse what’s playing on other channels while listening to the current one. Get alerts so you won’t miss any of your favorite artists, songs and games. Get score alerts when scores occur in games that involve your favorite teams. Catch up on the latest sports scores with Sports Ticker. Jump back to the previous channel with One-Touch Jump. Lock and unlock channels with mature content. BMW i App: After Samsung now its Apple!